An Inca Legend from Peru. A strange legend is recounted of a lake-goddess. She was chiefly worshipped as the giver of rain, but Huaina Ccapac, who had modern ideas and journeyed through the country casting down huacas, had determined to raise on an island of Lake Titicaca a temple to Yatiri (The Ruler), the Aymara name of the god Pachacamac in his form of Pachayachachic. He commenced by raising the new shrine on the island of Titicaca itself. But the deity when called upon refused to vouchsafe any reply to his worshippers or priests. Huaina then commanded that the shrine should be transferred to the island of Apinguela. But the same thing happened there. He then inaugurated a temple on the island of Paapiti, and lavished upon it many sacrifices of llamas, children, and precious metals. 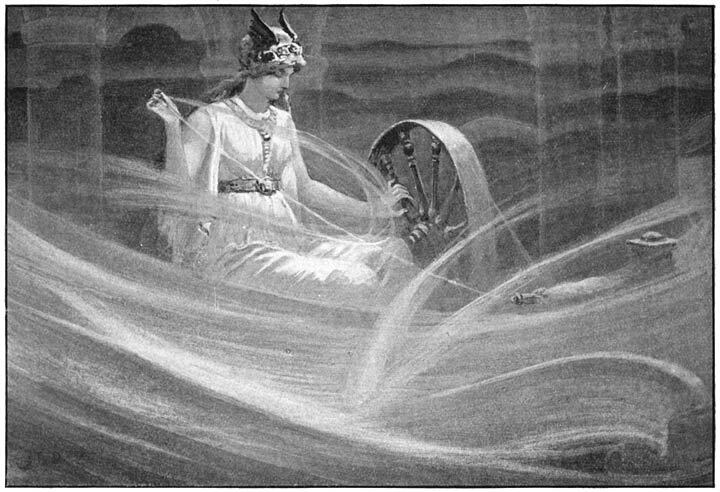 But the offended tutelary goddess of the lake, irritated beyond endurance by this invasion of her ancient domain, lashed the watery waste into such a frenzy of storm that the island and the shrine which covered it disappeared beneath the waves and were never thereafter beheld by mortal eye. Yesterdays Books raising funds for Todays’ Charities. This book raises funds for Project Peru – assisting the people of Zapallal, Lima.